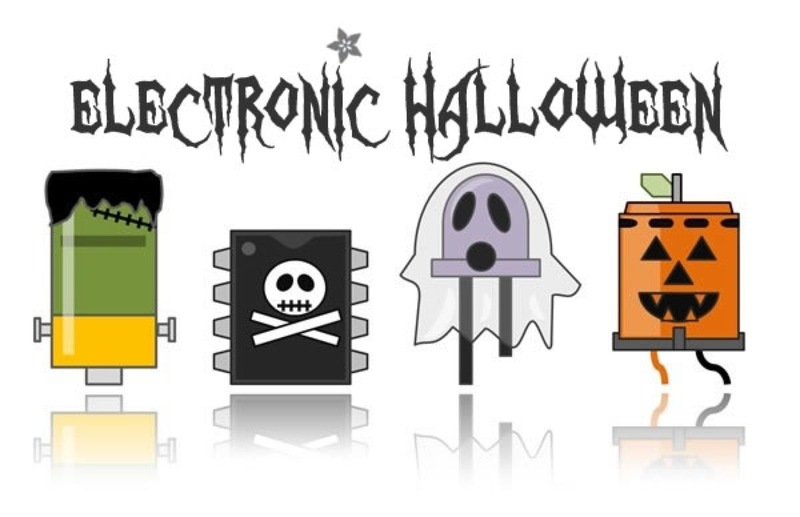 Costumes for Your Pets #electronichalloween « Adafruit Industries – Makers, hackers, artists, designers and engineers! 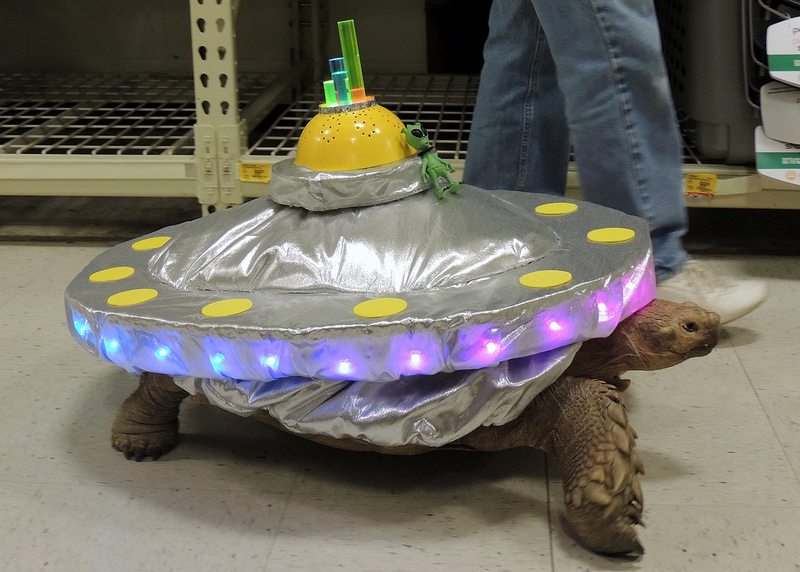 The good news is that the mothership is coming to pick you up. The bad news is that it is slowwww, and steaaaadddy. But uses some great Adafruit gear! Check out this video from The Mean Kitty: a series of velcro costumes that your cat might not love to wear, but the construction has been thought through such that you have a sporting chance to affix these to your cat. 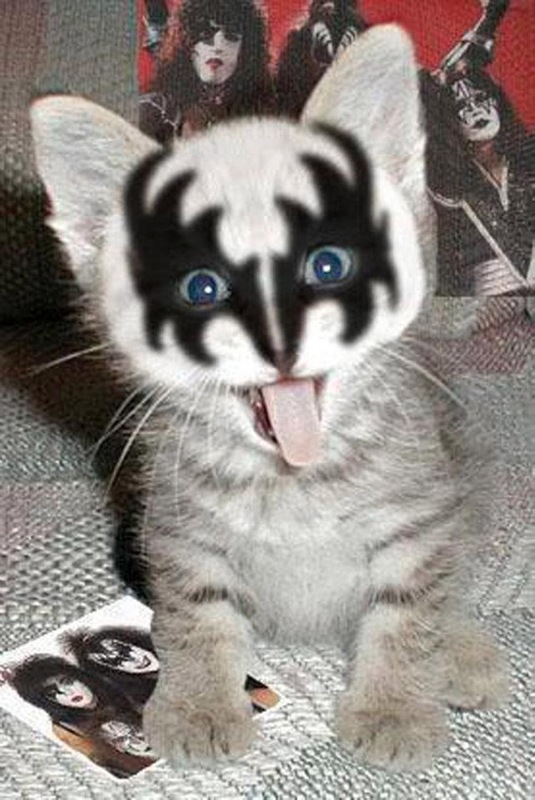 But maybe it is more fun to bring Halloween to you cat than wrap your cat in Halloween? Have you ever watched Pixar’s Up and thought, I wish my dog had a collar that would let him talk to me? Well I did, so I set out to make him one. Because we just have this snapshot and nothing from 30 seconds later, we can’t be sure if this is the coolest, or the cruelest, headless-horseman-riding-dog costumer. 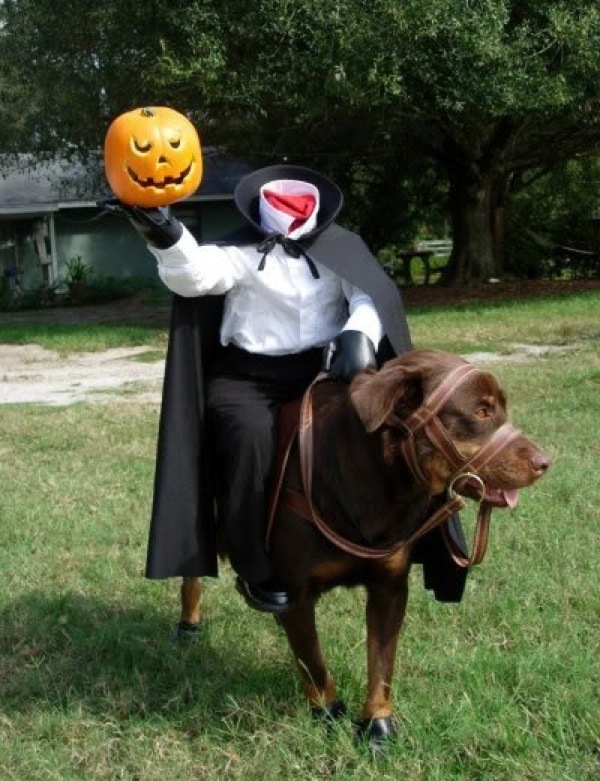 For more costumes-riding-dogs, check out this post from Laughing Squid. 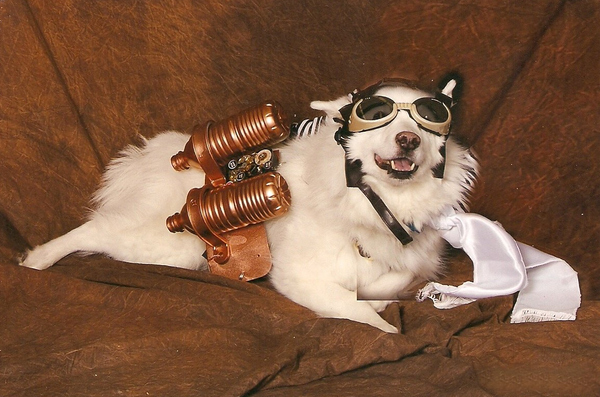 Speaking of discomfort, I’m noticing that many Etsy pet costume crafters don’t mind how happy their models look in their outfits. And why should they? 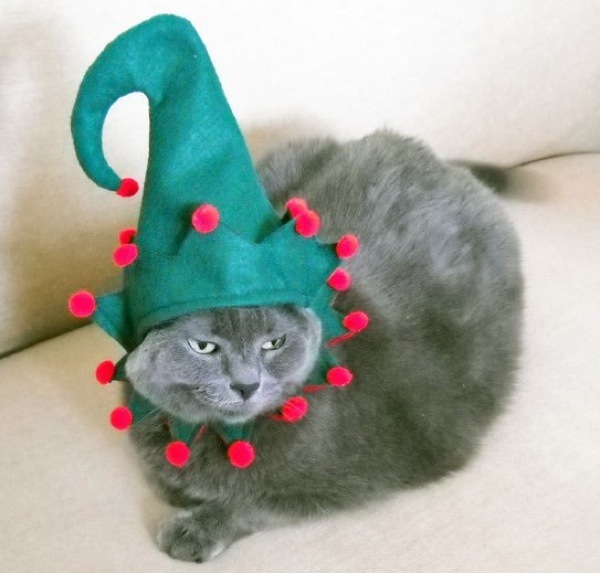 This sad cat sells the heck out of this hat. Though in another store, a happier subject loves its adorable hand crochet bear beanie. It can be made easily with a low cost recycled fiber optic toy, felt, and some cute little pom poms! 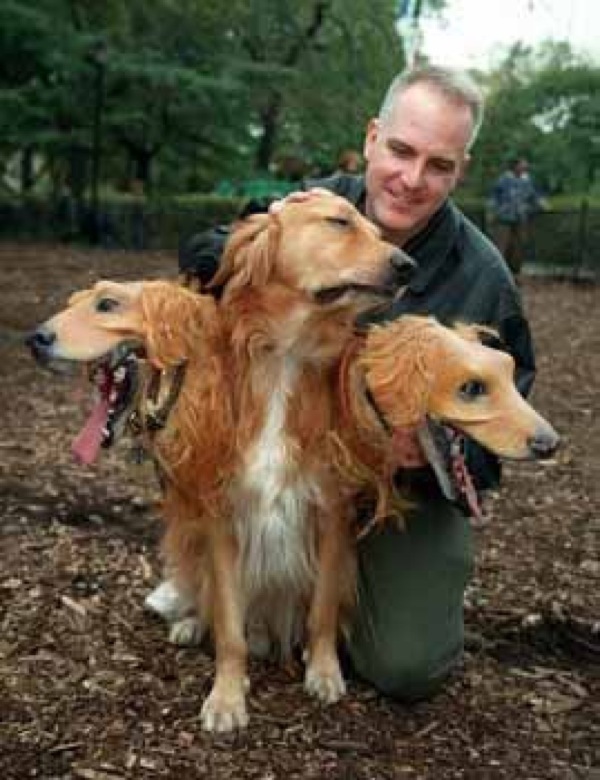 A sweet moment between a man and his Cerberus, stumbled upon in Flickr. While this doesn’t technically demonstrate a costume as much as an unusual cat that loves swimming enough to be willing to be strapped into an underwater rig, I figured sorting out how to get your cat rigged up for scuba diving has to be nearly as difficult as any other Halloween pet costume challenge. 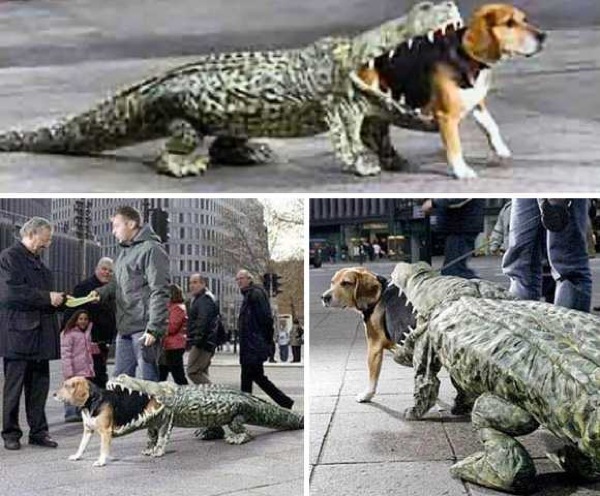 Apparently this publicity stunt from the Zoo Neunkirchen has become so popular that there are commercial crocodile-eating-your-pet costumes that you can grab. 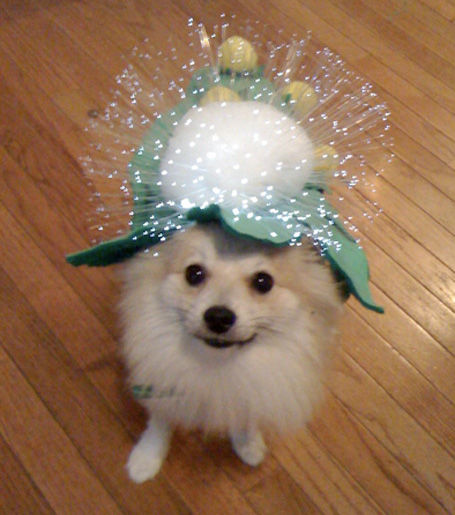 I’d love to see some Muppets-eating-your-pets costumes, btw…. 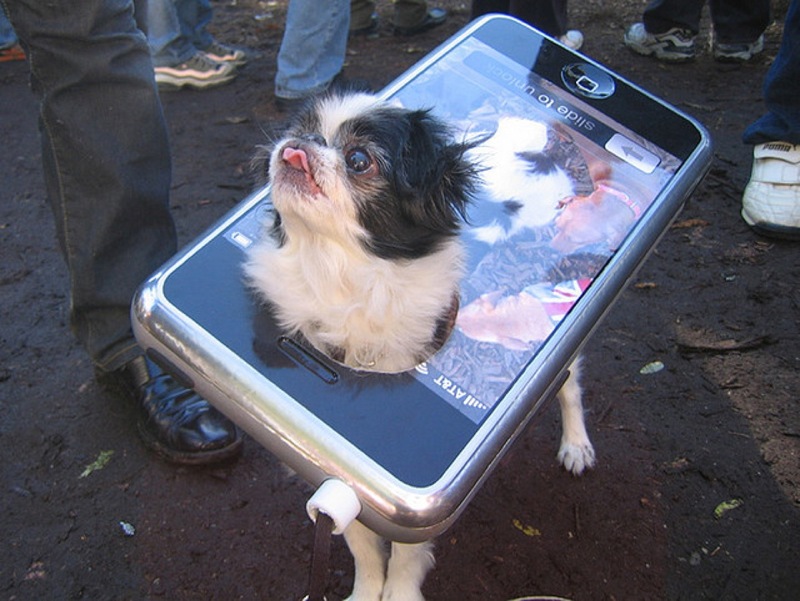 When going for pet costume gold, hold nothing back. 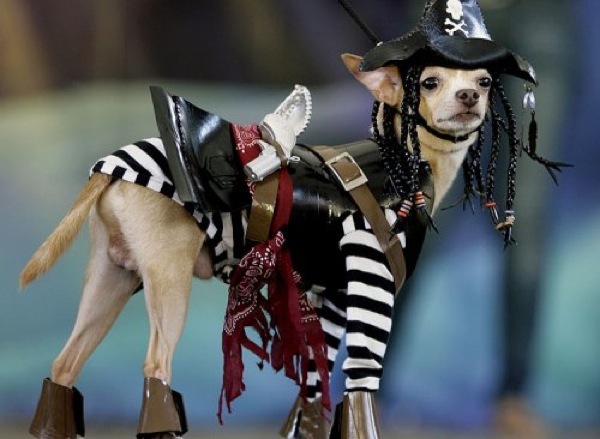 Check out this great how-to for creating your own pirate dog costume from Craft! And we mean hold nothing back. But please do take care to think of your pet’s comfort, health, and safety first and foremost. Halloween is a very intense, alarming, noisy affair: you will want to take extra preparations and precautions for your charge if you are going to deck up your pet for trick-or-treating, parading, or clubbing!